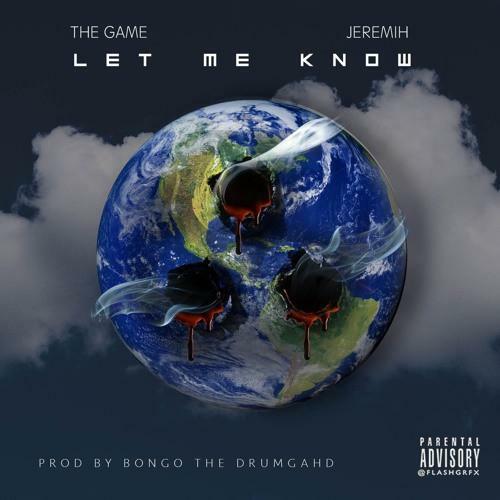 The Game and Jeremih weigh in on recent instances of violence on "Let Me Know". The Game recently organized an anti-violence gang summit in L.A., and today, he's released a song that responds to recent instances of violence across the world, specifically, the police killings of Alton Sterling and Philando Castille, the Pulse nightclub shooting in Orlando, the officers killed in Dallas, and the tragedy in Nice, France. Sampling Aaliyah's "We Need A Resolution," the rapper searches for answers in an effort to better the world. Jeremih closes the record with some thoughts of his own -- "didn't know we were living in the land of people dying with their hands up." Listen to a poem The Game wrote about race in America here. How we gon' respect the badge if you don't protect and serve? Hear the shots in the hood but can they feel it in the 'burbs? And that's just this year, you forgot about Trayvon?